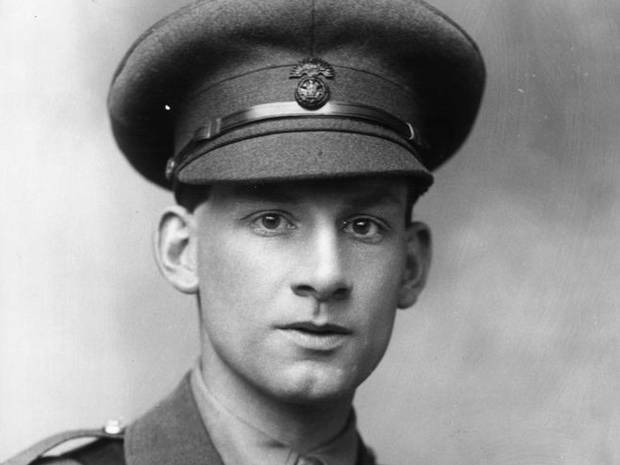 This tour in association with the Siegfried Sassoon Fellowship will start, as Sassoon himself did, in French Flanders, we shall use his verse, diaries and memoirs to examine his attitude to war and approach to poetry when he arrived on the Western Front, and how both began to change. We shall follow his journey south to the Somme in early 1916 and learn about his life-changing experiences there. After illness in the latter half of 1916, he returned to the Somme but his battalion was soon on the move and we shall follow their march to Arras and Sassoon’s experience of the Battle of Arras before he was wounded and returned home, stirred by his recent experiences to make his declaration against the war. He was back on the Western Front in the summer of 1918 and we shall learn why he abandoned his protest and trace the movements of his battalion to the River Lys where the poet, wounded again, was finally invalided out of the war. I’ve escaped and found peace unbelievable in this extraordinary existence which I thought I should loathe. Arriving at Calais in the early afternoon, we shall travel to French Flanders, the region which, along with the Ypres Salient, was the site of the British actions of 1915. We shall visit the area around Festubert where Sassoon first went into the trenches (on 25 November 1915) and observe how quickly his writing responded to the new experience. Here he met Robert Graves, much younger but already battle-hardened, and we shall consider the friendship between the two men and the effect of this relationship on Sassoon’s writing. From here we shall proceed to our hotel in Arras. The existence one leads here is so much a thing of naked outlines and bare expanses, so empty of colour and fragrance, that one loves these things more than ever; and more than ever one hungers for them – the music and graciousness of life. By February of 1916 the 1st Battalion Royal Welsh Fusiliers were in the Somme region. 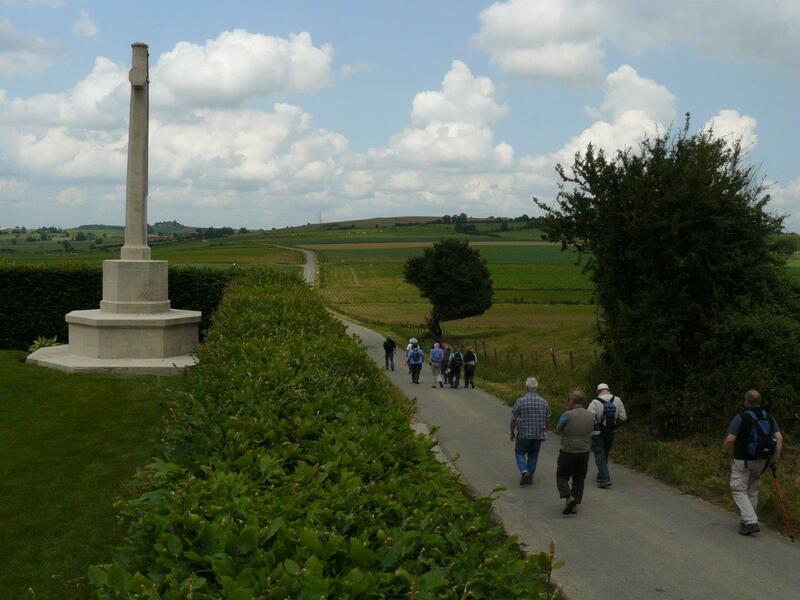 We shall visit Bois Francais near Fricourt where they held the line for several months and where, on the night of 18 March, Sassoon’s close friend David Thomas was killed. We shall hear how Sassoon reacted to his friend’s death and visit Kiel Trench where his bravery during a battalion raid on the German lines on 25 May led to the award of his Military Cross. Moving on to Crawley Ridge we shall use Sassoon’s diary to re-imagine the first day of the Battle of the Somme as seen by him from this spot. We shall follow the battalion’s march a few days later to Mametz Wood and hear of Sassoon’s brave but undisciplined actions to hold Quadrangle Trench prior to the terrible experiences of 38th Welsh Division in this sector in the succeeding days. From here we shall continue to Bazentin le Grand and to High Wood, both places where the battalion was involved in heavy fighting. I have seen the most ghastly sights since we came up here. 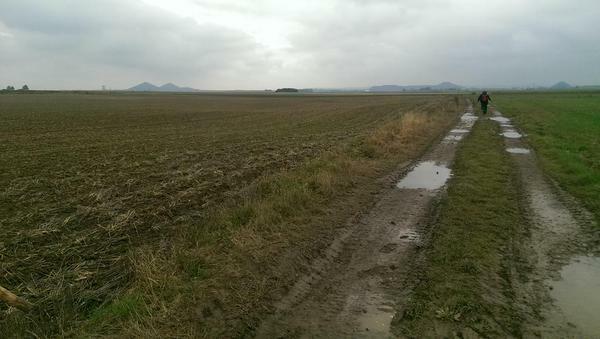 The dead bodies lying about the trenches and in the open are beyond description – especially after the rain. By late July Sassoon was back in England suffering from trench fever. It would be February of 1917 before he returned to France – to join the 2nd Battalion. We shall follow the Battalion’s long march from the Somme to Arras in early April 1917 and then their involvement in the Battle of Arras. We shall visit the spot on the Hindenburg Line facing Fontaine Les Croisilles where, on 16 April, Sassoon was wounded in the shoulder by a sniper’s bullet, and discover why, as he convalesced back in Britain, he was driven to make his dramatic protest against the war. The lads who look to me as their leader see me in the sunshine, when I must acquiesce in the evil that is war, building my pride of its bravery and brief jollity. But in the darkness of the night my soul goes down into the valleys of death, and my feet move amongst the graves of dead youth. Sassoon, now a company commander, returned to France on 8 May 1918, having first spent two months with his new battalion (25th Royal Welsh Fusiliers) in Palestine. We shall learn why he abandoned his protest and assess his feelings about the war and about his fellow soldiers. After six weeks of training in the area between Abbeville and Arras, his battalion marched to St Hilaire near Lillers and thence into the Haverskerque-Amusoires Line at Saint-Venant on the River Lys. We shall visit this sector and the spot where he was wounded in the head by ‘friendly fire’ as he returned from a night-time patrol on the morning of 13 July. From St Venant we shall proceed to Calais for our return crossing. Clive, a big thank you for an excellent w.e. Accommodation, organisation and your enthusiasm and great knowledge …all superb! Superlatives will run out in the trip ‘write up’ I have been asked to do.